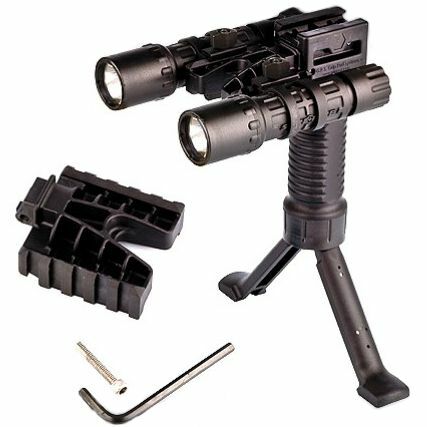 The Grip Pod System™ (GPS™) is a revolutionary new vertical fore-grip integrated with a strong and stable bipod. The Grip Pod's legs deploy at the push of a button - instantly! Made from advanced, reinforced polymers, the Grip Pod™ GPS02 is light to preserve weapon balance, and tough to withstand hard use. 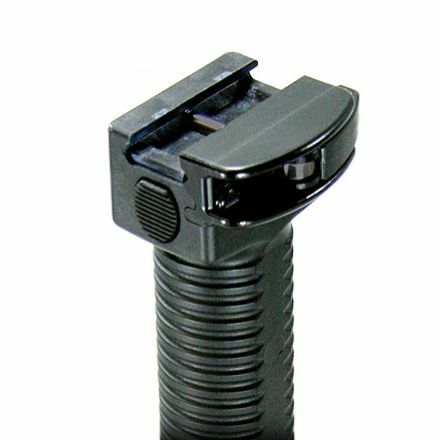 The Grip Pod GPS02 is the ultimate improvement to any weapon system currently employing a vertical grip. The Grip Pod™ offers a combination of advantages never before available in a single accessory. We consider the Grip Pod™ to be an enhanced target acquisition system (ETAS). Using the Grip Pod System™ an operator can go from a CQB position to a prone, and have a stable base for aimed firing in place before hitting the ground. 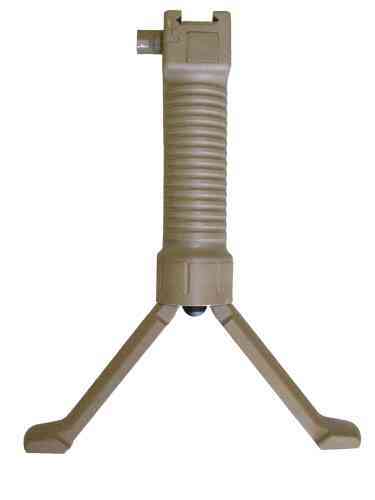 Say goodbye to cumbersome bipods that have to be manually clipped on or folded into position. 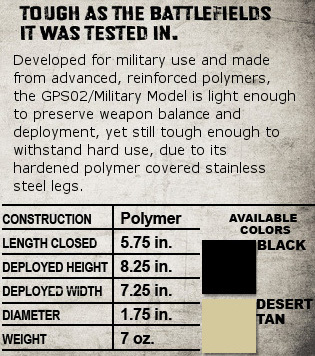 The GPS02's hardened-polymer coated stainless steel legs have been proven strong enough and durable enough to withstand the weight of a 240 pound man standing on the deployed legs. 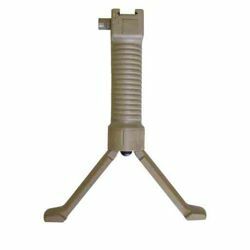 The Grip Pod™ is manufactured from aerospace materials to exceed military specifications for construction and finish. It mounts directly to Picatinny rail systems, and additional mounting options will be available soon. 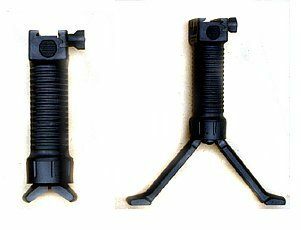 The Grip Pod™ is currently in worldwide use with select Special Forces units including: US Navy Seals and EOD, US Army, US Army Special Forces and Designated Marksmen, Secret Security, USMC, US SOCOM, FBI HRT, and unmentionable government entities. Grip Pod™ has been selected for use on US Army Designated Marksman rifles, and it is part of the down-select for the SCAR (SOF Capable Assault Rifle) project.